The average adjustable rate mortgage (ARM) rate rose to an average rate of 4.01% in December 2018, up from 3.53% a year earlier. This bump in ARM rates is a direct result of the Federal Reserve’s (the Fed’s) increase in short-term rates. Similarly, the 30-year fixed rate mortgage (FRM) rate rose in December 2018 to an average of 4.55%, well above a year earlier when it was 3.85%. 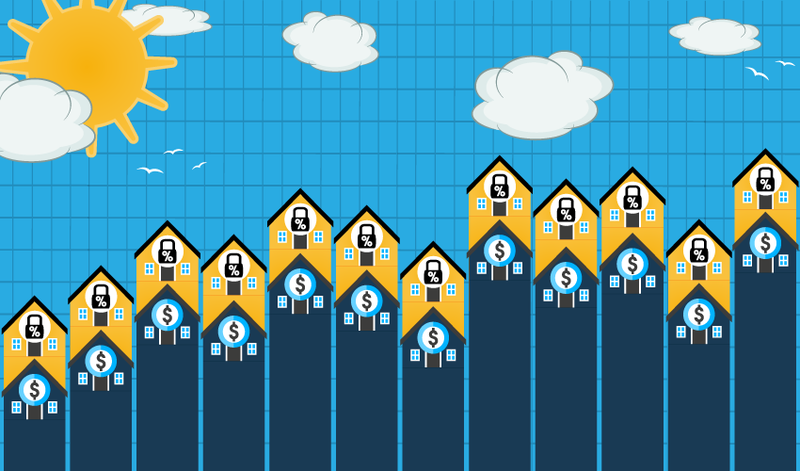 Recently, ARM use has inched higher due to home prices rising faster than the rate of inflation, causing buyers to take on more risk to extend their purchasing power. 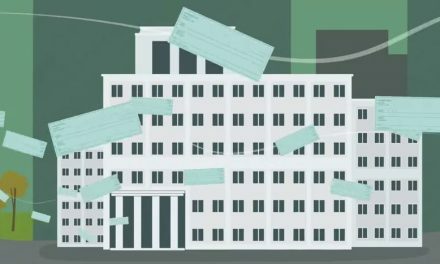 Since the Fed began increasing the short-term interest rate and ARM rates have responded accordingly, buyers are unwittingly taking on risks homeowners other than the very wealthy cannot absorb. However, the spread between the ARM and FRM rates has diminished to about 0.5%, decreasing the ARM’s appeal, until the next FRM rate increase. Here, consumer protection is left to the buyer’s agent. Updated January 14, 2019. Original copy released April 2014. 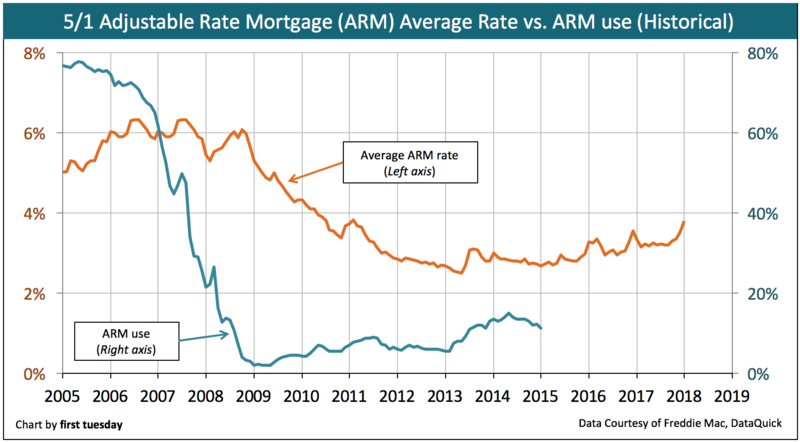 ARM rates peaked in 2006 at just over 6%. ARM use (the ratio of ARMs to all other residential mortgage loans) at the time was extremely elevated: three out of every four mortgages originated as ARMs, a recipe of disaster for the future housing market. ARMs are riskier than FRMs because the rate reset often results in substantially higher payments, and payment shock. This was experienced on a wide scale during the Millennium Boom as payments rose beyond homebuyers’ ability to pay. California’s 2008-2009 foreclosure crisis was driven in large part by these rate resets. The mortgage market is nearly fully recovered from the foreclosure crisis, seven years later in 2016. So, are ARMs ever beneficial to homebuyers? 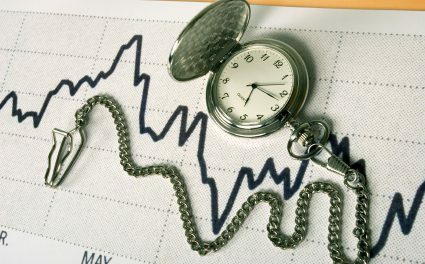 ARMs do work well for seasoned, short-term investors who plan to sell within the initial lower-rate period. But owner-occupant homebuyers are advised to stay far away. Editor’s note — From August 2010 on, ARM use is a first tuesday estimate. Estimates are based on DataQuick data tracking ARMs as a percentage of home loans recorded in Southern California. All other numbers are actual recorded statewide ARM percentages. When FRMs are available to homebuyers at reasonable rates, well-informed homebuyers choose FRMs over much riskier ARMs. However, when other market pressures are at work, even well-informed homebuyers find themselves considering the more risky ARM option. This is because ARM use is tied inescapably to buyer purchasing power. As FRM rates rise, less of the monthly mortgage payment for which a homebuyer qualifies is applied to the principal. Thus, homebuyers cannot afford to buy at the same price they were able to a year earlier. Today’s spread between ARM and 30-year FRM rates is about 0.2 percentage points. Likewise, when home prices rise more quickly than the rate of consumer price inflation (CPI) (as they did during the Millennium Boom and more recently during the 2013 year of the speculator), homebuyers are unable to qualify for the same amount of house as they used to. This is where ARMs come in. Homebuyers turn to ARMs to increase their purchasing power, as the initial interest rate allows more money to be applied to principal. This allows homebuyers to afford a more expensive home. A quick fix, but a poor one in the long run. Similarly, ARM use declines when FRM rates and prices are low. This occurred in 2009 at the tail end of the recession, when ARM use bottomed at almost zero. Meanwhile, the average ARM rate bottomed four years later, in May 2013, at around 2.5%. Contrast this low ARM rate with the bottom in FRM rates at around 3.3%, a spread of 0.8 percentage points. 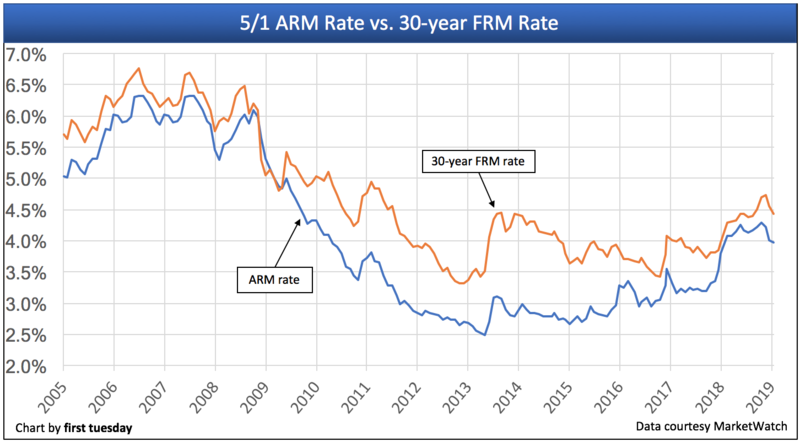 At that time, the difference between ARM and FRM average rates was too small to sway many homebuyers into considering the risks of taking out an ARM. It wasn’t until FRM rates spiked mid-2013 — concurrent with the jump in home prices — that ARM use began to rise. Mortgage rates of all varieties will not return to the lows experienced in 2013 for decades. Prior to 2014, mortgage rates had been on a steady decline since 1980. This downward trend enabled lenders and agents to encourage homebuyers to “just refinance” out of their resetting ARMs. However, the next two to three decades will bring a slow tide of rising mortgage rates. Thus, ARMs have the potential to be more dangerous for homebuyers today and in years to come than in recent memory. NextDoes the granting of a life estate constitute a change of ownership which triggers reassessment? 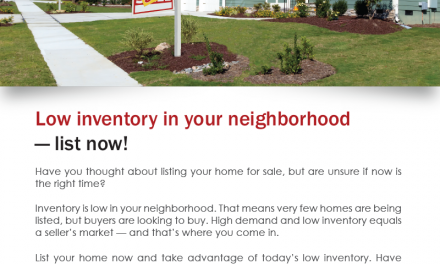 FARM: Low inventory in your neighborhood — list now!